Here at J&J Technology Consulting, Inc. we are constantly searching for solutions that can be used as "stand-alone" or "merged-in" to meet client goals. We are mindful of our client's budget and goals to be achieved, therefore we are always looking for ways to meet their needs at the best price point without compromising quality. As always, we investigate the client's situation and goals before recommending any one product or solution, therefore, final recommendations will vary. 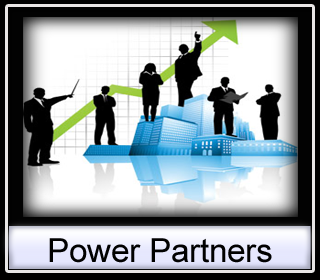 That said, we have selected the following Power Partner Products/Companies to address and/or compliment our existing product portfolio. Though a simple concept, not many perform a valuable "follow-up". Companies spend a good portion of their budget in Advertising & Marketing, and while it is a numbers game when it comes to "carpet bombing" there must still be some kind of follow up. The reality is that most business comes from referrals, and to encourage the continual referral business companies employ "Appreciation Marketing" strategies. You create and maintain lasting relationships, personally and professionally. You can express yourself at impromptu times and make a positive difference in others lives. You will motivate, encourage, uplift and show appreciation in ways that you never thought possible. As a result of all of these things, new opportunities will surface. You will increase the opportunity to stay in touch with prospects or referral contacts that will help you accomplish goals. 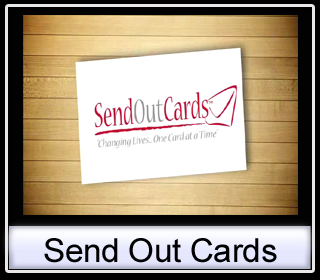 Ask us for a free demonstration or visit their website and peruse through videos available at: Send Out Cards. The decision to partner up with this product was driven from our Agent Web 2.0 solutions. Real Estate Agents need tools in their arsenal to close sales and become that "one stop shop" for their clients. Therefore, we thought it appropriate to offer an "Added Value" item to their websites and in-person relationships. With the Short Sale, Foreclosure, Bankruptcy economy that many are facing, Real Estate Agents are now making long term relationship with their prospect/client base. That means that they need to educate their clients on how to manage their credit, or options for restoration, in order to assist them in the Home buying/selling decisions. When it comes down to it, "the better the credit rating, the lower the interest rate, the lower payment and finally, the most money saved!" Real Estate Agents should be asking their clients, "What do you have to lose, but your less than perfect credit!". 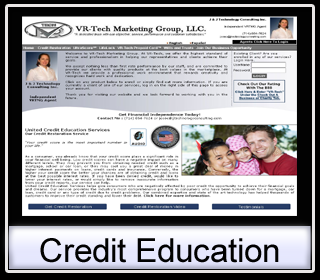 Ask us for a free demonstration or visit their website and peruse through videos available at: Credit Education Services. The Whittier Daily News publication released an article on J&J Technology Consulting, Inc. titled "Paperless Pusher"